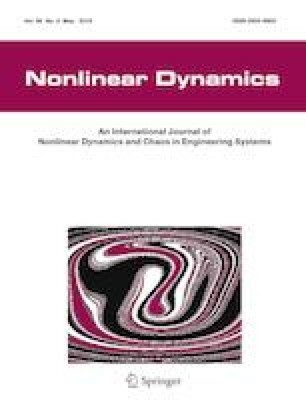 Aerodynamic reduced-order model (ROM) is a useful tool to predict nonlinear unsteady aerodynamics with reasonable accuracy and very low computational cost. The efficacy of this method has been validated by many recent studies. However, the generalization capability of aerodynamic ROMs with respect to different flow conditions and different aeroelastic parameters should be further improved. In order to enhance the predicting capability of ROM for varying operating conditions, this paper presents an unsteady aerodynamic model based on long short-term memory (LSTM) network from deep learning theory for large training dataset and sampling space. This type of network has attractive potential in modeling temporal sequence data, which is well suited for capturing the time-delayed effects of unsteady aerodynamics. Different from traditional reduced-order models, the current model based on LSTM network does not require the selection of delay orders. The performance of the proposed model is evaluated by a NACA 64A010 airfoil pitching and plunging in the transonic flow across multiple Mach numbers. It is demonstrated that the model can accurately capture the dynamic characteristics of aerodynamic and aeroelastic systems for varying flow and structural parameters. This work was supported by the National Natural Science Foundation of China (No. 11572252), the National Science Fund for Excellent Young Scholars (No. 11622220) and “111” project of China (No. B17037) and ATCFD project (2015-F-016). We thank Professor Bernd Noack of LIMSI-CNRS for his valuable discussions and suggestions on this work. The authors declare that there is no conflict of interest in preparing this article.